That's good, John. 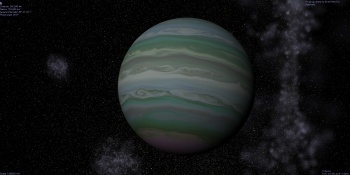 Should be interesting a thread with all the exoplanet class->textures. 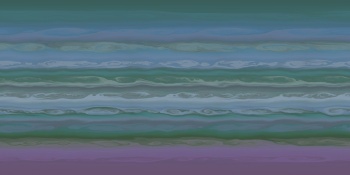 The dominant colors (like the greens-blues of this) is a missing features in these exoplanetary matters; it would help a lot to set up the textures for the default Celestia's exoplanets catalog. How many standard textures would be a sensible basis? I can not even guess . What i have been doing is when something pops up in the NEWS , then doing something . also i have been having FUN with a new toy "gaseous-giganticus.c"
All unknown visual features should be merged into ONE averaged reference texture as a start. The task would be to diversify as further measurements are coming in. It would be great to have a compilation of EXO surface features that have a chance of being filled in by real measurements in the near future. All unknown visual features should be merged into ONE averaged reference texture as a start.